The Government has announced plans to reform the taxing of motor vehicles which includes a proposal to abolish the tax disc from October 2014. The tax disc was first introduced in 1921, offering a 'licence for a mechanically propelled vehicle'; its scrapping is part of an efficiency drive by the Government to reduce the cost of administration. 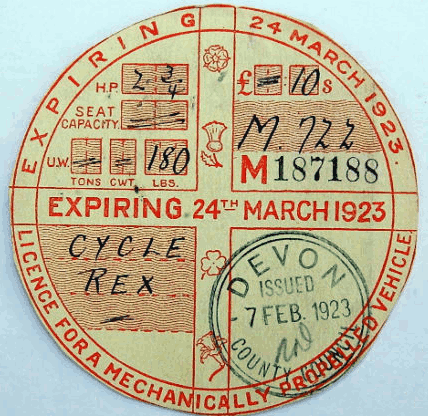 Although vehicle tax will still be compulsory, the records will be held digitally, meaning that the tax disc itself will no longer be required to be displayed on windscreens. To help with the costs of motoring, the tax will be payable by Direct Debit on a monthly, six-monthly or yearly basis.